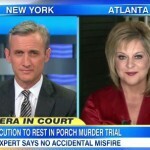 Dan appeared on Good Morning America, Wednesday, July 30th, to discuss the end of the prosecution’s case in the murder trial of Theodore Wafer. Wafer is accused of second-degree murder for fatally shooting an unarmed 19-year-old girl, on his porch, last November. As the prosecution is wrapping up it’s case against Wafer, more evidence is brought forward that contradicts Wafer’s defense. Initially, Wafer had claimed self-defense, stating he fired the gun fearing for his life. However, a dash cam recorded the morning of the incident, shown in court, reveals Wafer saying he didn’t know the gun was loaded. Jurors then heard from a gun expert who said that Wafer had to know the gun was loaded, a detail that discredits Wafer yet again. Prosecutors say, 19-year-old McBride posed no threat to Wafer and argued she was drunk and injured after crashing her car before the shooting. Says Dan, “On the one hand it’s self-defense and on the other hand it seems to be a mistake and those two things are at odds. Self-defense means I intentionally shot someone because I was in reasonable fear for my safety and my life and I felt it was necessary to do it. But that’s not what he’s arguing here, it seem, at least. So far, it seems, the defense is going to say, it was self-defense up to the point of when he fired the weapon. Meaning he goes and gets his weapon, he prepares himself and all of this by the way is legitimate, right here, someone knocking on the door. 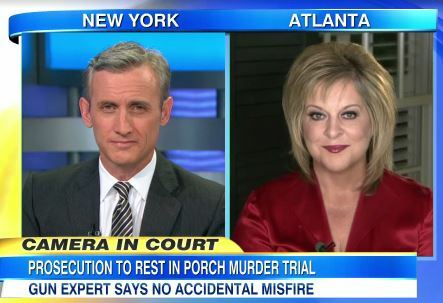 The question becomes on the firing of the weapon, it sounds like he’s saying, no, not self-defense, but it was a mistake…Tough to argue both of those things at the same time.” Watch the full clip, including commentary from HLN’s Nancy Grace, here.